Departments nationwide are starting to do a great job of providing in-service training for their officers to meet the ever-changing needs of the communities they serve. There is, however, one group in our profession experiencing a gap in training: rookie cops. Currently, most rookie training takes place on the streets under the guidance of field training officers. While this aspect of learning is critical, it can place young officers in situations they are ill-equipped to handle, where their jobs are at risk if they make a mistake as they are still on some form of probation or at-will status. The problem is there is no feasible way for a police academy to cover in detail every tip, trick and strategy for every call an officer may come across. When I went through the police academy I was trained in a variety of topics and situations, many of which were high-stress calls like active shooter, felony car stops and pursuits. But I can still remember the sheer nervousness I felt during my first day of field training when I realized I didn’t know how to handle a simple theft call. I simply hadn’t been taught how to deal with the type of calls officers experience every day. The academy prepared me for the 1%, but not the 99% of service calls that are the foundation of the policing profession. If handled incorrectly, these “routine” calls can cost rookie officers their jobs, or sometimes their lives. Make contact with the subject in custody. Immediately frisk, detain and identify. Never take a loss prevention officer’s word that a suspect is unarmed or has already been searched. Always conduct a frisk/search yourself according to your training. Identify and interview the complainant and any witnesses. Review any surveillance video of the theft. Get a copy of the video if necessary. Get an itemized receipt of the items that were stolen to use in your report and submit for evidence. Retrieve and return stolen property to original owner. Check to see if there are any enhancements for the offense. Take appropriate enforcement action based on the level of offense. Document and report the incident as required by your department. Establish police presence to deescalate any ongoing conflict. Frisk and identify the aggravating party; detain in handcuffs if necessary. Frisk immediate area for weapons. Separate both parties physically and by line of sight. Be aware that family disturbances often take place in people’s own homes. Hence, weapons can be stashed anywhere. Identify and run all parties involved unless there is a clear primary complainant, and/or you believe there is a potential victim of family violence. Attempt to find a resolution to the immediate problem. Often, this is accomplished by having one subject leave the scene for a while to let things calm down. Remember if both subjects are residents and there is no crime, you have no legal ground to make a subject leave. You can only suggest so. If during the interview you discover a crime has taken place, take appropriate enforcement action. Document and report the incident in accordance with your department’s guidelines. 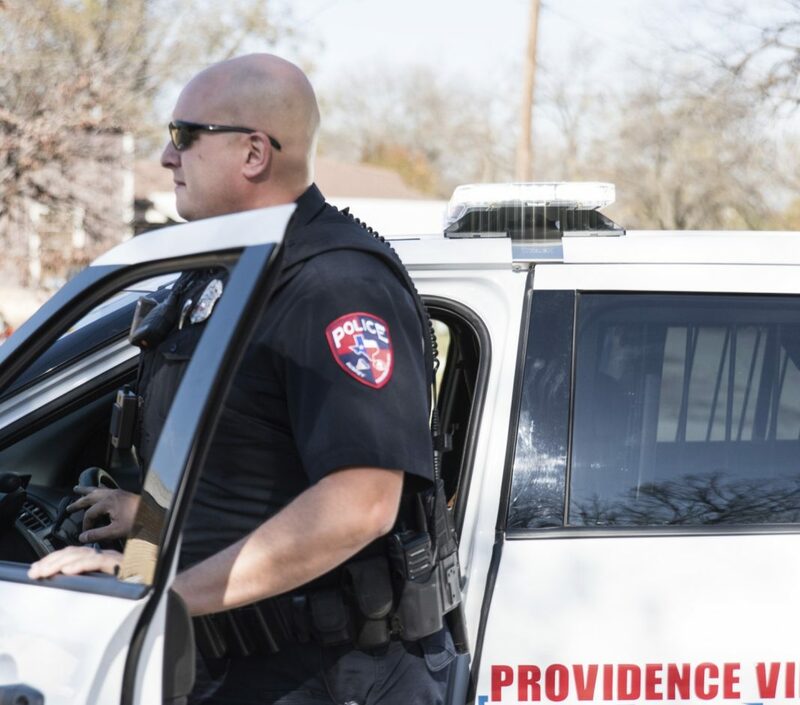 Fully commissioned officers have access to hundreds of training programs throughout their careers, while too often we expect rookie cops to learn on the fly. But in today’s climate young officers can’t afford the luxury of learning from their mistakes. They should be afforded the same, if not more, training and professional resources as senior officers. Xavier Wells is a Texas peace officer, disabled veteran and author of The Rookie Handbook. He created Cadet, Rookie, Cop LLC to fill training gaps for new officers.